I have a heating silicone 200V 300W that must be driven by an SSR. I see that it is a DA model. which model SSR AD or DA is most appropriate? Is the connection scheme reliable? I made a schema for connecting the SSR relay. I have a doubt about the connection between IEC switch C14 and SSR & hearter. 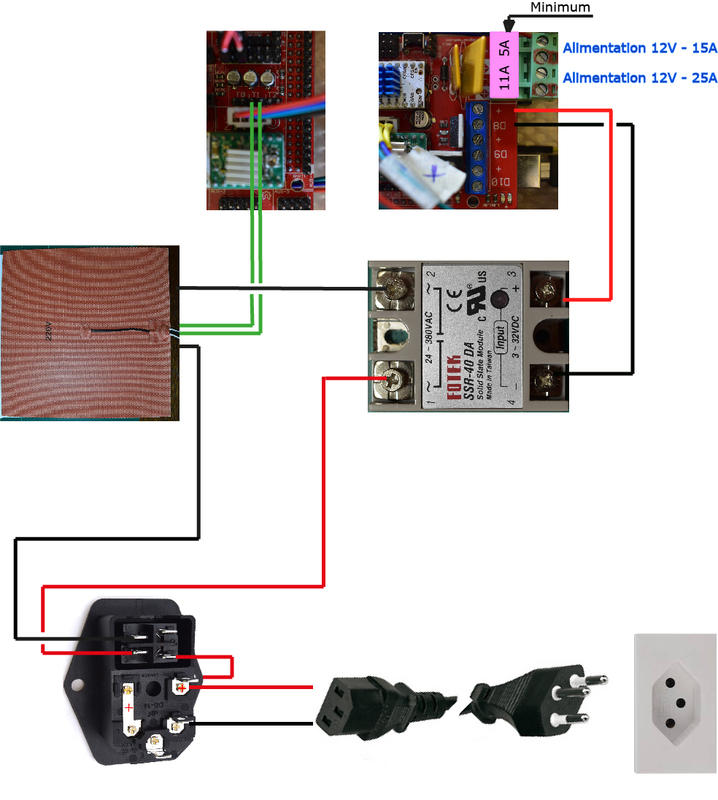 Should I connect the bed and ssr on the same terminal of the switch? j'ai fais un schèma pour la connexion du relais SSR. J'ai un doute sur le branchement entre le switch IEC C14 et SSR & hearter. Faut-il connecter le bed et le ssr sur la même borne du switch? Edited 1 time(s). Last edit at 12/11/2017 02:17AM by taratata.